Volvo has built versions of the C30 with efficient diesel engines, plug-in hybrid powerplants, flex-fuel ICEs, and pure electric drivetrains. It's the all-electric version that will get some extra attention at the Detroit Auto Show next month with Volvo's announcement today that it will build at least 50 versions of the all-electric C30 hatchback. The cars will be made next year and are due to start real-world tests in 2011. Volvo brought a driveable prototype version of the C30 BEV to Frankfurt earlier this year, but the machine that will be shown in Detroit is a more evolved iteration. Volvo says that the NAIAS unit has a complete interior, full instrumentation, and enhanced battery packaging. Lennart Stegland, director of Volvo Cars Special Vehicles, said in a statement, "The first prototype helped us identify the main technological challenges, such as battery packaging and safety issues. We have addressed these challenges without compromising the C30's cool and fun-to-drive personality. I am very happy with the result. The electric C30 in Detroit is a much more complete product." 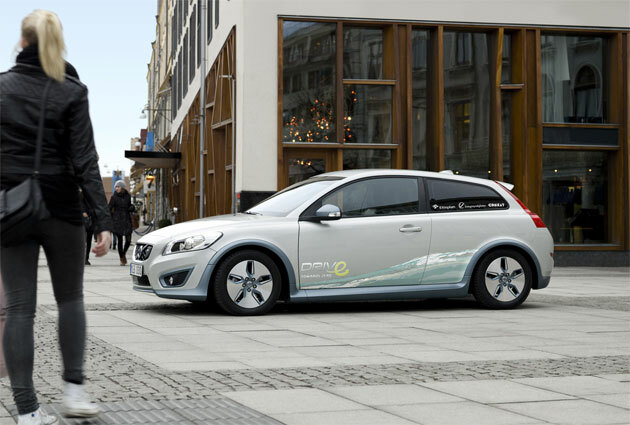 Detroit 2010 Preview: Volvo C30 EV evolves for road trials originally appeared on Autoblog Green on Thu, 17 Dec 2009 13:02:00 EST. Please see our terms for use of feeds. 0 comments on "Detroit 2010 Preview: Volvo C30 EV evolves for road trials"